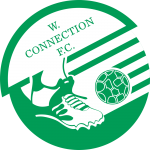 W Connection clinched the 2013-2014 Digicel Pro League crown on Tuesday night by dismantling Defence Force's attempt at the trophy with a 4-1 victory thanks to a double by Joevin Jones and a goal each by Stefano Rijssel and Hashim Arcia with one match to spare. 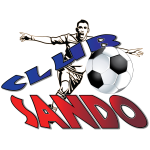 The “Savonnetta Boys” claiming their 5th league crown in the club’s 15-year history – three times in the Pro League (2005, 2011-2012 and 2013-2014) and twice in the previous PFL (2000 and 2001) – and for the first time in the history of the professional league a $1,000,000 winners’ reward. Connection, who played to a 2-2 draw against the defending champions Defence Force last Friday in a rescheduled match, once led the standings by 15-points this season, but secured the title with 49 points; four points clear the army/coastguard combination with just one match remaining. 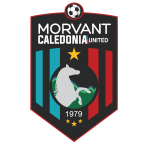 Finding it difficult to relieve himself of the words of joy, W Connection owner/president David John-Williams stuttered as he said, “It’s our 15th anniversary … we [recently] lost the Lucozade Sport Goal Shield, and people doubted this team. “I want to say hats off to the guys … they believed. They won the championship convincingly. They really bounced back. I think we really won the championship on Friday when we were down to 10 men [trailing] 2-1 and Alvin Jones scored a monster goal that shifted the momentum back to us. “This is tremendous. This is tremendous. It means a lot. It means a lot to the organisation: the players, the technical staff, our fans … it means a lot. We have worked very hard for this. 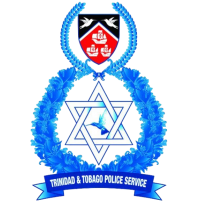 It did not take long for Connection to show they meant business against a depleted Defence Force in front of a 2,700 crowd at the Ato Boldon Stadium in Couva. Suriname forward Stefano Rijssel fired Connection 1-0 ahead by the 4th minute of play with a fully stretched Army goalkeeper Kevin Graham no match for a 22-yard left footed strike. Then by the 31st minute the "Savonnetta Boys" led with a 2-0 cushion when Jones (Joevin) ended a play he started by dispossessing Curtis Gonzales in midfield, feeding a pass to Rijssel and on the return pass he buried the ball past Graham from inside the area. Josimar Belgrave pulled back a goal in the 37th minute for Defence Force, reducing the deficit 1-2, when his first time hit on a well-placed Kerry Joseph pass behind the Connection defence left goalkeeper Julani Archibald beaten. But one minute later forward Hashim Arcia restored Connection's two-goal cushion with a 3-1 score before the break when goalscorer Rijssel, with his second assist on the night, provided the pass from the right and Arcia struck past a hapless Graham. And again in the 67th minute the Defence Force custodian made another save, foiling a Jones (Joevin) attempt following a quick build-up by Connection. Then when Russell was forced to replace forward Devorn Jorsling (hamstring) on the 70th minute, already fielding a team without injury listed players Aklie Edwards, Dave Long and Jemel Sebro, and forced to utilise an injured Jerwyn Balthazar, there was no stopping Connection’s celebrations in Couva. Defence Force won applauds from the crowd seven minutes from time when substitute forward Balondemu Julius' acrobatic attempt flew over-bar, and again a minute later when Graham pulled off a low save with the legs to deny Connection substitute Neil Benjamin Jr. on a one-on-one situation. But in the 86th minute Graham was beaten by a classy chip from distance by Jones (Joevin) who brilliantly dug his left boot under a diagonal pass into the area by Arcia for a 4-1 finish. “It was great that we were able to reach a point of defending our title,” said Defence Force head coach Ross Russell, citing the various problems his team had to endure this season. 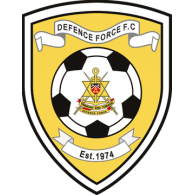 Nine consecutive league wins and one draw prior to Tuesday's match, saw Defence Force reach a position many thought were impossible for a team that was forced to stand down from the game in January because of a self-imposed suspension by the Trinidad and Tobago Defence Force. The suspension was lifted in February, but in the same month the Defence Force players, already mourning the death of defender Rawle Fletcher, aged 34, who was murdered on December 22, had to also deal with the death of winger Kevon Carter, aged 30, who died of a heart attack on February 28. “I must give credit to my players for reaching this far,” continued Russell, who also explained he had to do a lot of mixing and matching on Tuesday due to injuries in his squad. 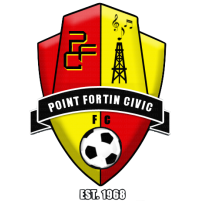 Defence Force (45 points) needs just one point against San Juan Jabloteh on the final match-day next Tuesday to avoid any chance third positioned Central FC (42 points) jumping second to join W Connection for next season's Caribbean Football Union (CFU) Club Championship, which is the qualifying competition towards the Concacaf Champions League. 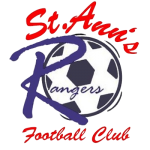 Central will meet St. Ann's Rangers in their final league match, while the 2013-2014 champions will end against Caledonia AIA. 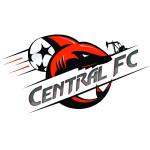 Central were held to a goalless draw by Jabloteh in an earlier match played at the Ato Boldon Stadium on Tuesday. 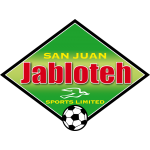 Jabloteh's Jamaican goalkeeper Shane Mattis had an excellent night denying Kaydion Gabriel, Willis Plaza and an Ataullah Guerra free-kick before teammate Dwane James wasted an excellent scoring opportunity in the 83rd minute, hitting wide of an empty net from an angle. While a double header carded at the Hasely Crawford Stadium was cancelled by match officials because of an inadequately marked playing surface. 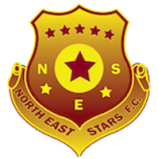 North East Stars were scheduled to meet cellar positioned St. Ann’s Rangers, and Caledonia AIA against Point Fortin Civic.